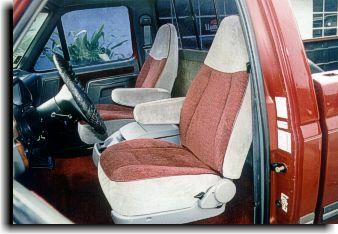 The seats for this Ford P/U was originally all light gray. 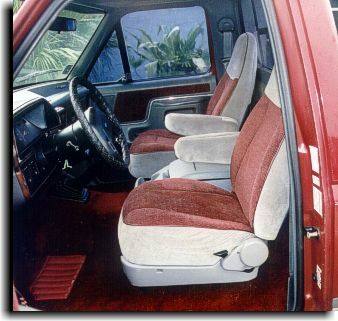 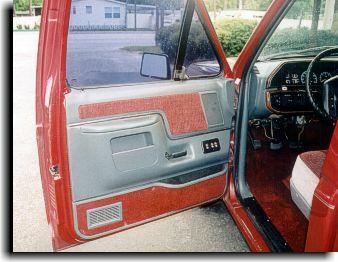 A red cloth was used to accent for the facing of the seats along with the inserts for the door panels. 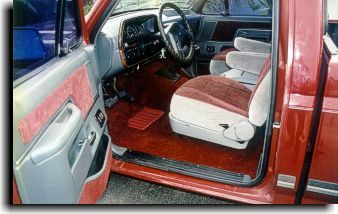 A maroon cut-pile carpet was used for the flooring.